Crown Royal is proud to announce the latest members of the family. You know the original Crown Royal, the everyday luxury, and you probably know the Crown Royal Special Reserve in the gold box. But have you met the two new Royal family members? Crown Royal Cask 16 is the very newest edition, in striking black tubes and black bags. A selection of Crown Royal's finest whiskeys, aged in cognac casks. This gives it a terrific fruity overtone with a nose of vanilla, spice and fruit. 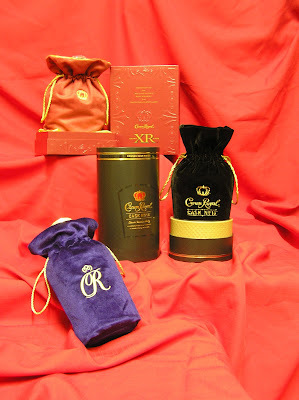 Crown Royal XR Extra Rare is a limited release, in a sumptuous red box and lovely red inner bag. Crown Royal is bottling the last of the rare whiskeys from the old Waterloo Distillery, that has burned down, blended with the finest of the current stock. 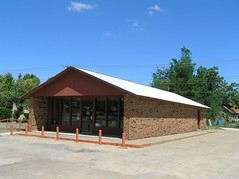 No more Waterloo whiskeys can be distilled, and once they are gone, there will be no more. We receive very limited shipments of Crown Royal XR. If you want to own one of these historic bottlings, don't wait too long!